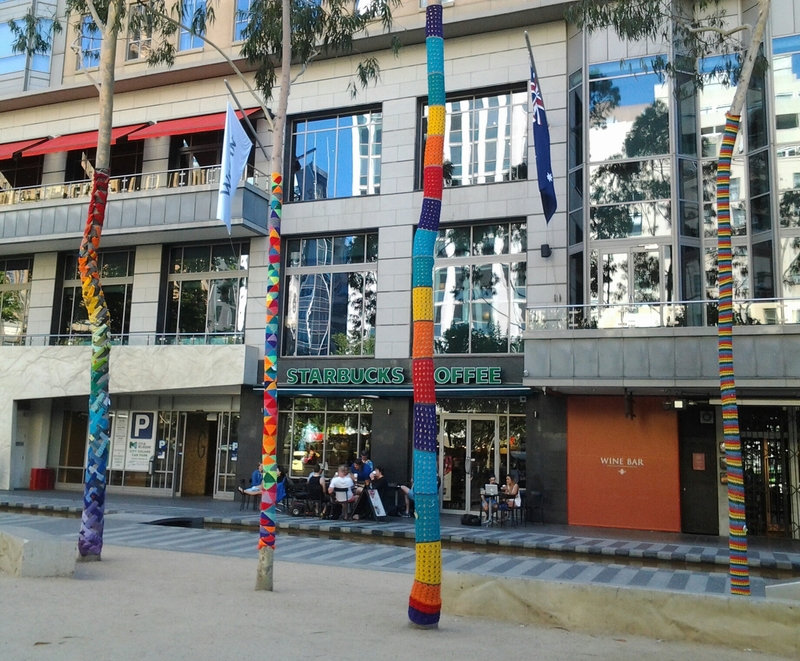 Yarn bombing – (don’t) dodge the guerilla knitters – Craft-a-licious . . 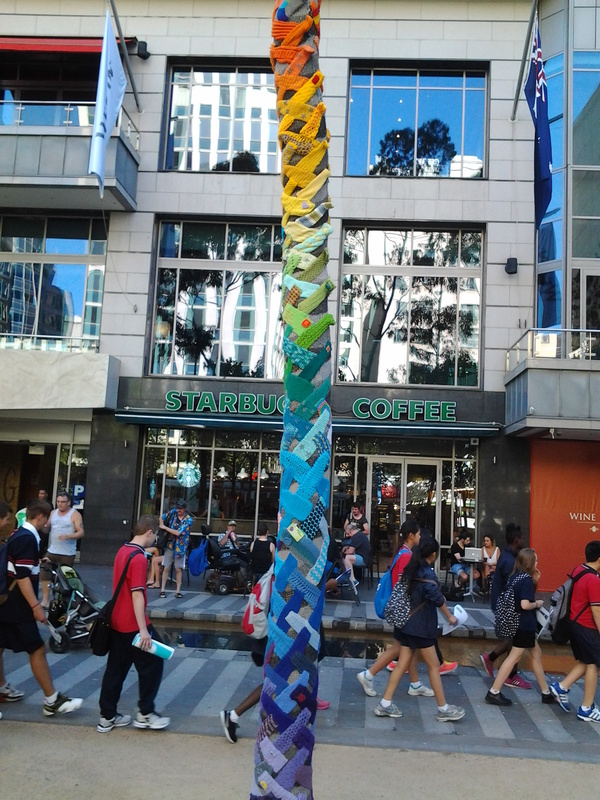 I chanced upon a little slice of happiness as I was walking in the heart of Melbourne last week. As I was contemplating my left foot’s growing blister (damn you $10 shoes!) and no band aids to hand – I happened to look up and see a wonderful forest of crocheted and knitted sleeves on the trees. Ah, instant pain relief – I couldn’t wipe the smile from my face. Thank you for this delightful opiate yarn bombers! Ha! These are great! Unexpected rays of colour in the Grey City. Better get comfy shoes Cath, coz I think you might be trudging round every spare moment now, lookin for your next fix! ah lovely! thanks for that bit of touchy-feelie on the mean streets cath. Fabulous news! Your work really is outstandingly good compared to many I have seen. Do you have any sister guerilla groups around the Perth area I can visit for some yarn bombing awesomeness? Even if you don’t I shall keep a keen eye out regardless!